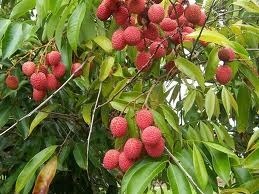 The Department of Industry and Trade in Bac Giang Province is forecasting a bumper litchi crop this year, estimating a harvest of 189,500 tons of litchis, an increase of 84 percent from last year. Sai Gon Giai Phong reporters saw many traders in Luc Ngan District of Bac Giang Province buying litchis for VND10, 000 to 19,000 per kilogram. According to Vu Cong Thac of Tan Moc Commune in Luc Ngan District, there are 220 households cultivating litchis on more than 700 hectares, of which 100 hectares have ripened early. Local authorities have organized a meeting to discuss measures to find consumer markets for litchi growers. Bui Van Hanh, deputy chairman of the Bac Giang Province People’s Committee said that local authorities have asked commercial banks to create conditions to help farmers borrow money for short term loans. Local authorities will also coordinate with farmers to help them harvest the product. This year, the province authorities have asked the Trade Promotion Centre in the Department of Industry and Trade to help farmers’ market litchis. The centre is focusing on the Ho Chi Minh City wholesale markets. 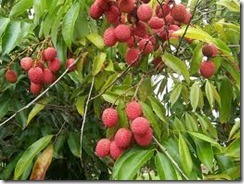 It will also connect with traders in Laos and Cambodia in order to expand the litchi market. « Can You Save Begonias Over the Winter?